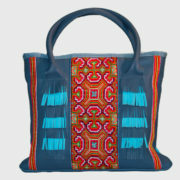 Voluminous handmade leather shopper with comfortable handles. 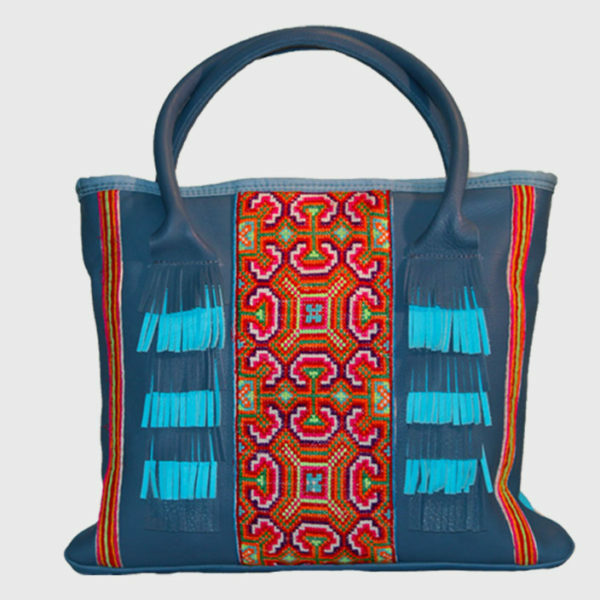 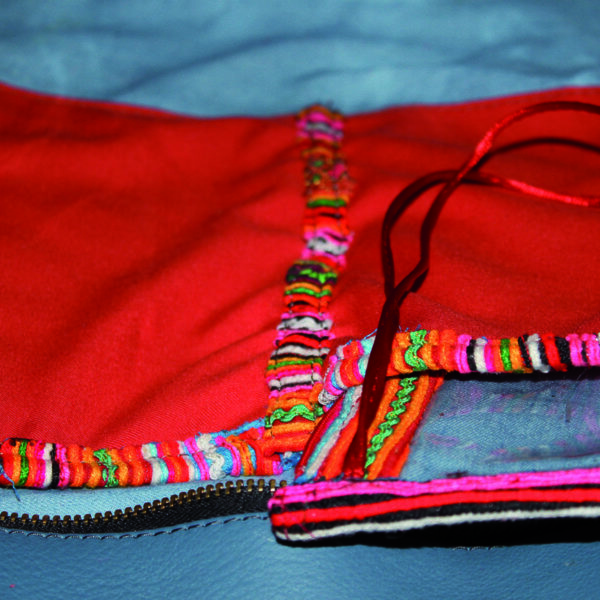 Contrasting fringes and traditional North Vietnamese Flower Hmong embroidery. 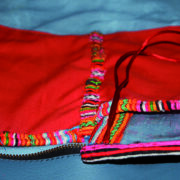 Outside back pockets, jeans lining with inside open pockets and clasp. 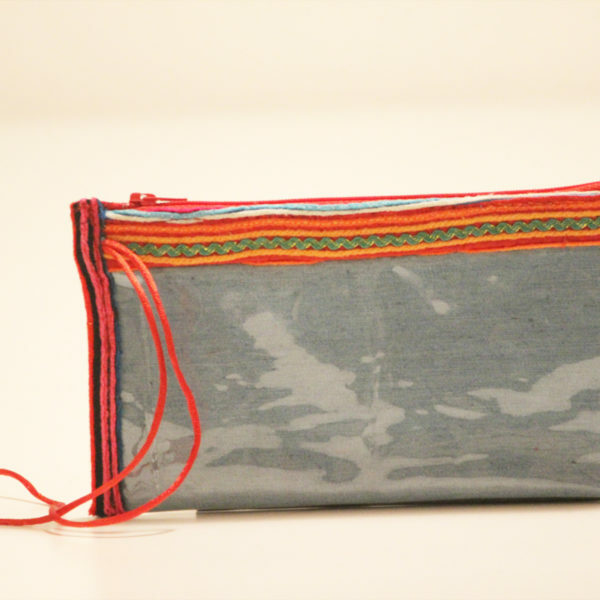 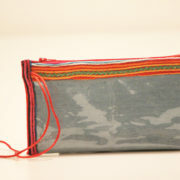 Embroidered wristlet with zipper and strap.